Traditional BUCKLE collar: Basic collar with buckle, adjustable slide, and D-ring. MARTINGALE collar: Martingales have no buckle. They consist of an adjustable slide, D-ring, and a loop that will pull closed when tightened. It is designed to not choke the dog, but to give better control and to prevent dogs from backing out of their collars. 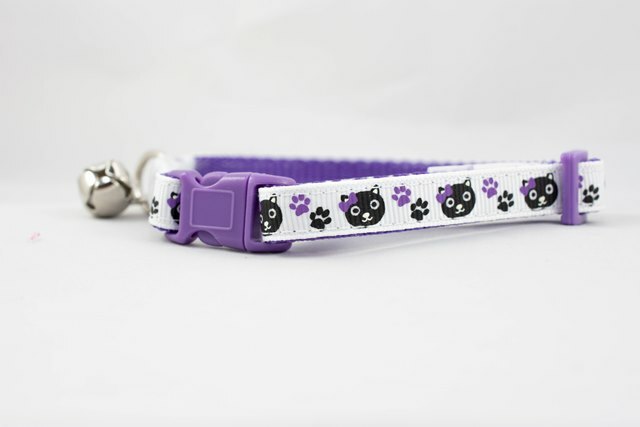 Cat collar: Traditional cat collar with breakaway safety buckle, adjustable slide, and D-ring. Cat collar include a bell. Options: You can add a buckle to a martingale collar. 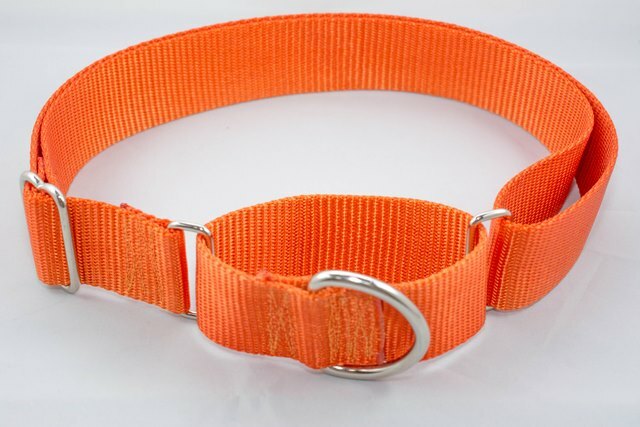 It has the same functioning as a traditional martingale collar, but with a buckle added for quick on/off. Sizes are just a guideline. 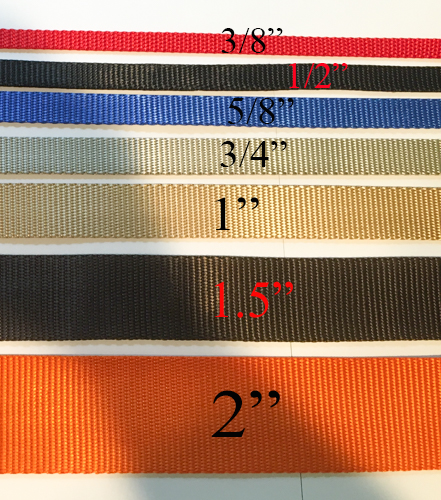 If a neck size is provided collar will be custom sized based on measurements given. Custom size: There's nothing too big or too small. Available hardware styles vary based on collar size and type. Colored: 1" wide and smaller have many colors available. 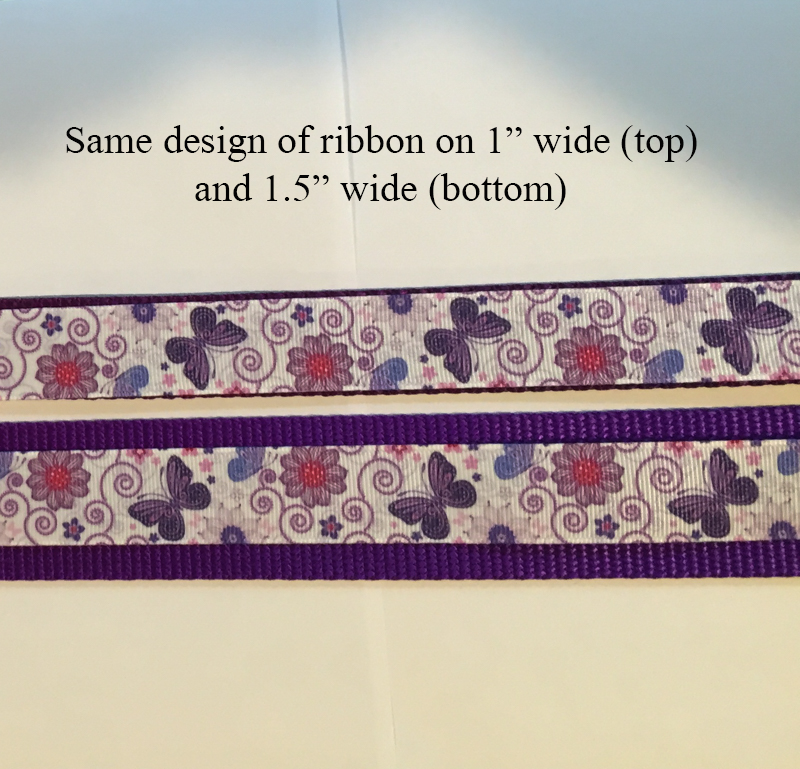 The 1.5" and 2" have white buckles available. Fleece Toys: Toys are made with fleece, poly fill, and squeakers. Fleece is a great material for toys since it doesn't tear like other fabrics. It will take a lot of wear and tear before it's destroyed.